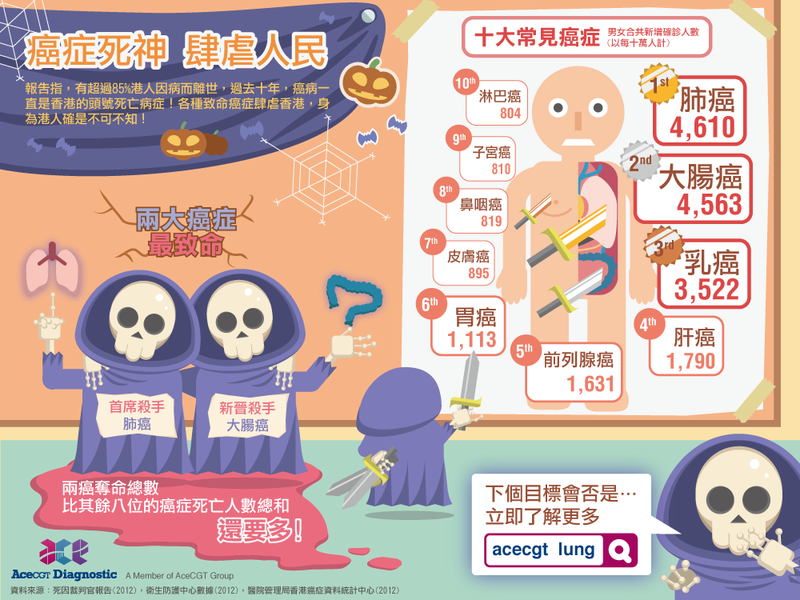 Report shows that more than 85% of Hong Kong people died due to illnesses, and cancer is the leading cause of death. 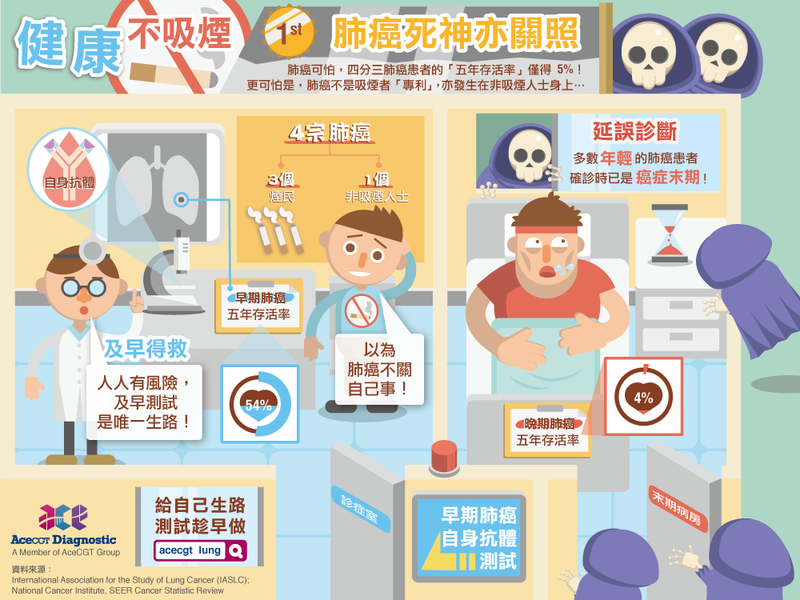 Lung cancer and colorectal cancer are the two most common cancers in Hong Kong. 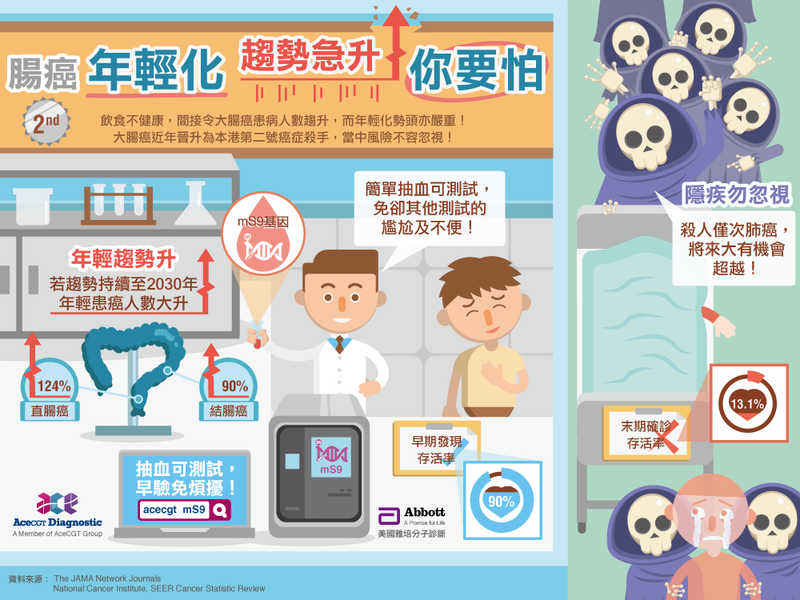 To educate the public about early detection of cancer, we worked with AceCGT to create a series of infographic on the issues and distribute them on the social media to raise awareness of the public.